Two or three teaspoons of coriander leaves finely chopped. Half teaspoon of pepper powder. Tomato should be ripened. Make sure the tomatoes are not sour. Wash the tomatoes properly and dry it using a cloth. Cut the tomatoes in to half and deseed it. Dice the tomatoes in to small pieces. Rinse and Wash the remaining ingredients properly. Transfer the curd in a bowl. Curd should be devoid of any water and should not be sour for a better result. Keep it aside. Slit the green chili in to half and chop it finely and keep it aside. Roast the cumin seeds in a thick bottomed pan in medium flame. Using a mixer-grinder or mortar and pestle to powder it. Get fresh dried black pepper and ground it using a mixer-grinder or mortar and pestle. 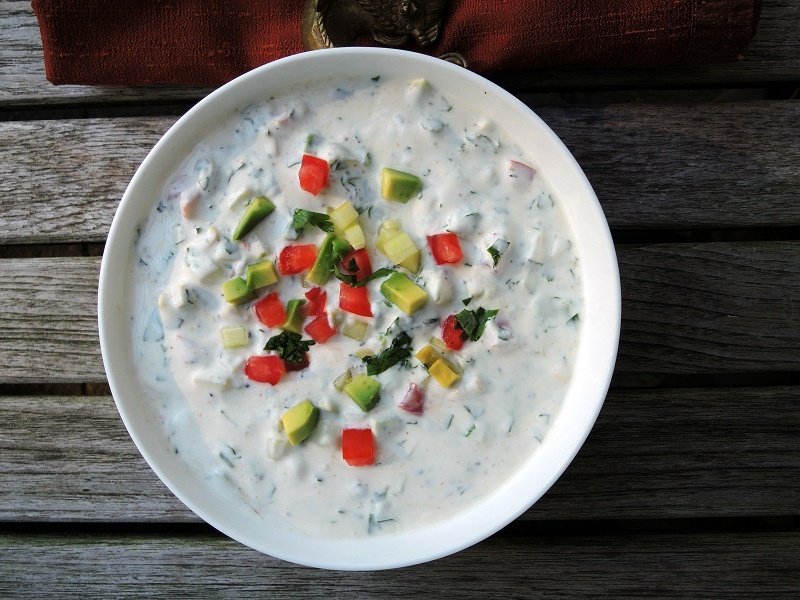 In the bowl of curd, mix the diced tomatoes, chopped green chilies, finely cut coriander leaves and mix properly. Transfer it in to a serving bowl and add pepper powder in to it and mix properly. Garnish it using coriander leaves serve. Add a dash of red chilli powder for garnishing. Add enough Fresh mint leaves for garnishing. You can garnish the tomato raita using fried mustard seeds, curry leaves and asafetida for a different taste.